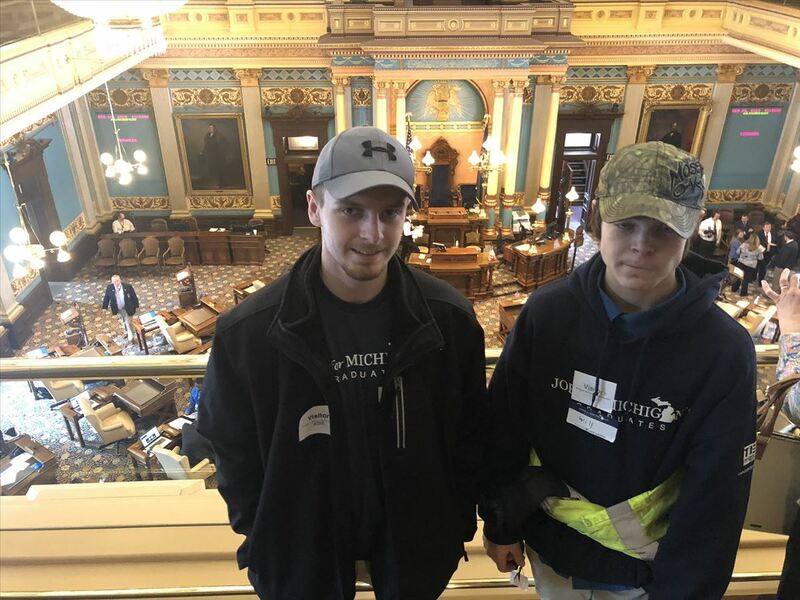 Two students in the Jobs for Michigan’s Graduates (JMG) program coordinated by Michigan Works! Northeast Consortium attended the Jobs for Michigan’s Graduates Legislative Day on February 28 in Lansing. Over 125 students from across the state attended the event. 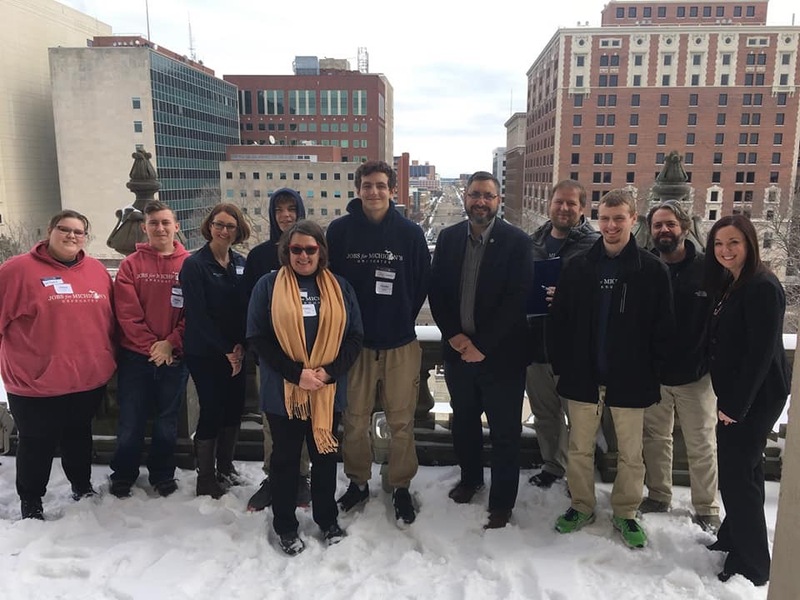 While in Lansing, JMG students Will Coggins (Presque Isle Academy) and Trentin Montgomery (Alpena High School) met with their legislators, networked with other JMG students, and toured the Capital. 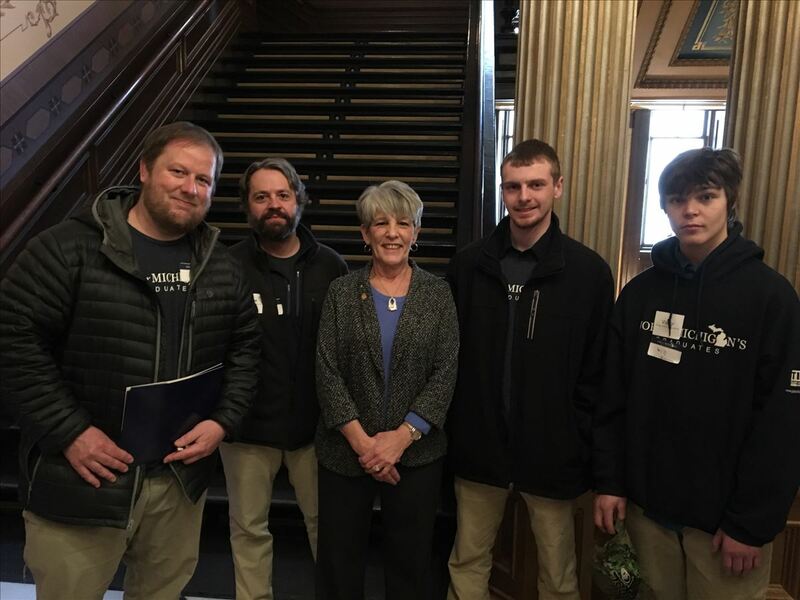 Trentin and Will were able to meet and talk with Senator Jim Stamas and Representative Sue Allor about their experiences and involvement in the JMG program. In fact, Representative Allor opened the House session by introducing both students and Michigan Works! Northeast Consortium as special guests to the House. JMG helps Michigan's young adults graduate and make successful transitions to postsecondary education or meaningful employment. Michigan Works! Northeast Consortium coordinates JMG programs across northeast Michigan. As the premier program of Youth Solutions, Inc., JMG equips young people with the skills needed to overcome barriers and ensure Michigan’s youth win in education, employment, and in life. Operating across 208 Michigan cities, JMG works with nearly 3,000 young people annually. For more information on Youth Solutions and its Jobs for Michigan’s Graduates programming, visit ouryouthsolutions.org.